Kantar’s monthly performance study shows impressive results for Lidl. 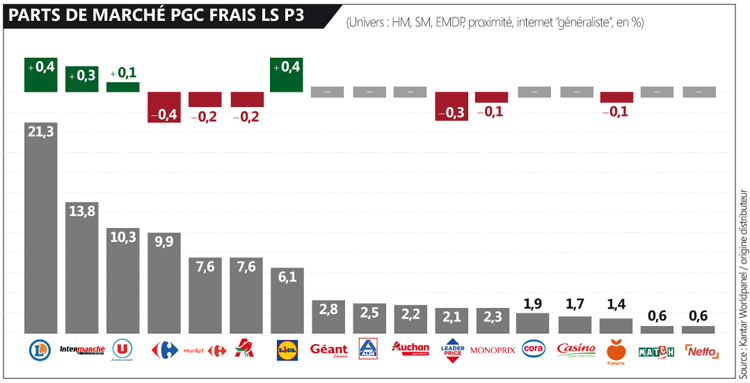 Indeed, for the first time, the discounter had more than 6% of market share in France, with a leap of 0.4 points. In 2017, Lidl had 5.6% of market share. Other interesting results include Leclerc which marks its 6th consecutive period of growth, three of which at +0.4 points. Intermarché is also progressing. Carrefour and Auchan lose 0.4 and 0.2 points respectively. The two retailers together hold 17.5% of market share, compared to 19.9% four years ago.